TYR Carbon is a game-changing fabric that fuels performance across the disciplines. Constructed from this breakthrough technology, the TYR Men's Carbon Padded Front Zip Tri Suit helps lower your body temperature and heart rate and results in more efficient breathing and less lactic acid buildup. In addition, this tri suits hydrophobic fabric starts drying as soon as you exit the water. The TMZJB6A front zip tri suit is made with smooth bonded seams to maximize strength and comfort while minimizing drag. Engineered with Carbon flash mesh, this triathlon suit is uniquely engineered to draw moisture away from the body, keeping you feeling light and dry throughout the race. 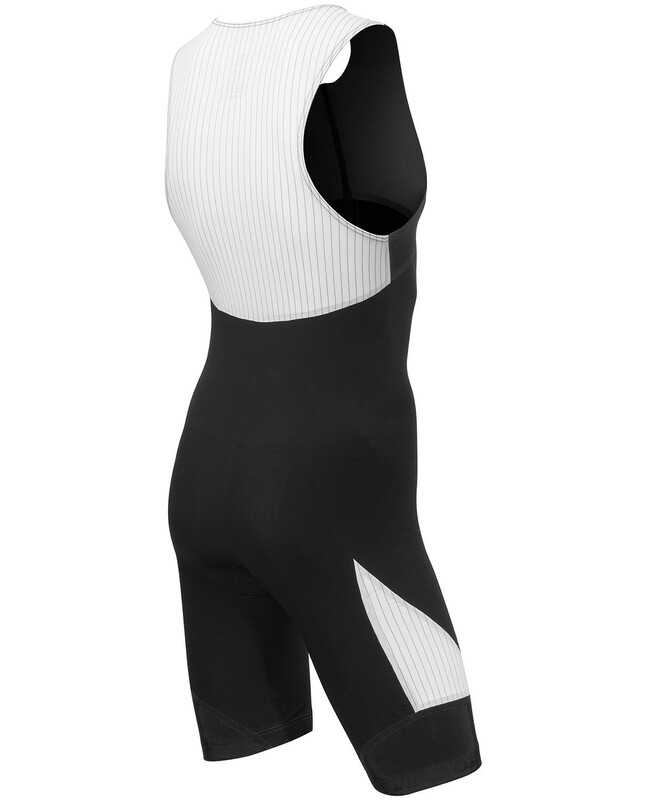 Equipped with a breathable, built-in carbon amp pad, this compression tri suit strategically absorbs your weight while in aero position and keeps you feeling cool and unrestricted while running or cycling. The Men's Carbon Padded Front Zip Tri Suit is more than apparel. It's equipment. The ITU compliant suit features a 15" locking zipper, UPF 50+ technologies and Silicone beaded leg gripper for a secure but comfortable fit. Q: Does it have pockets ? A: Our Men's Carbon Front Zipperd Short John with pad does not have pockets. A: A: Our Men's Carbon Front Zipperd Short John with pad does not have pockets. Q: Does the CARBON PADDED FRONT ZIP TRI SUIT come in XXL & XXXL ? if yes when will they be available ? A: We currently do not carry these sizes. A: Thank you for contacting TYR Sport! We are always eager to answer any questions you have about our company. Our Carbon Padded Front Zip Tri Suit does not have pockets. Q: Does this come in a XL? A: Our Carbon Padded Front Zip Tri Suits do come in XL. Unfortunately we are currently out of stock. We will have more stock later this year.